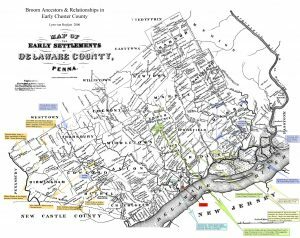 Our branch of the Broom family in America can count themselves among the first settlers of the Chester/Delaware area, with records dating back to the mid-1680’s. 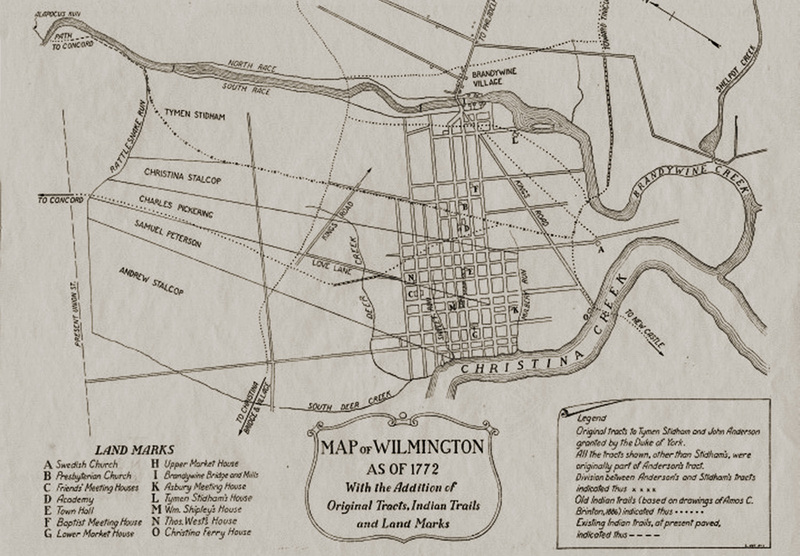 They also belong to the founders of Wilmington, Delaware in the 1730’s. The earliest Broom for whom we have a definite, proven record was Thomas Broom, married to Elizabeth Hannum. Their son James Broom married Esther Willis. James and Esther were the parents of Jacob Broom, a man of many talents and occupations. He was active in Delaware politics and a delegate to the Constitutional Convention for that state. 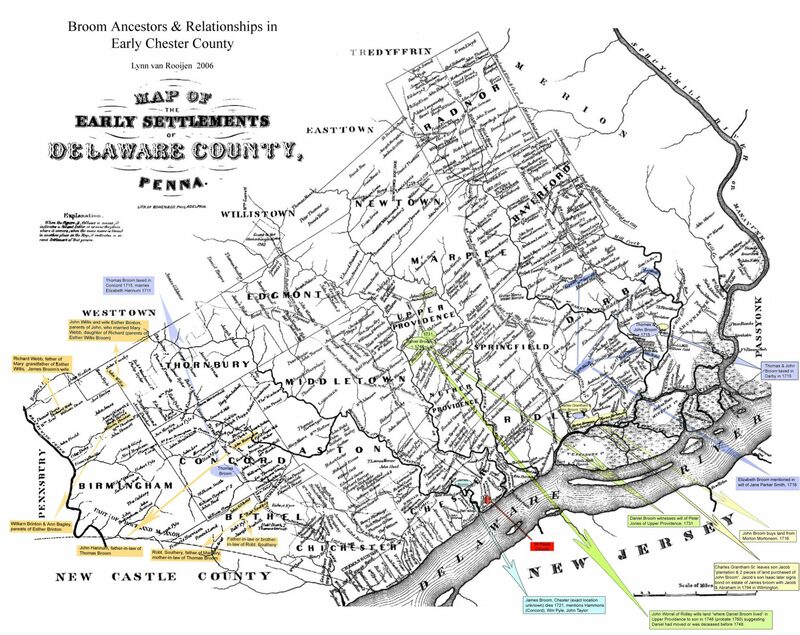 While we are not yet sure if Thomas Broom was born in America or immigrated around 1700, his wife’s ancestors (Hannum, Southery) were among the earliest settlers of Chester County in the mid 1680’s. 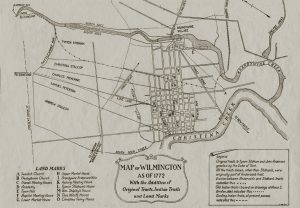 Esther Willis’ ancestors (Brinton, Webb) were even earlier, some settling first in NY (Willis), before moving to SE Pennsylvania. Via the various Broom pages, you can take a journey through the lives of the first three generations of Brooms in America. I’ve also tried to describe points of contention, unsolved mysteries and also some of the (unfortunately) widely published misconceptions on some points of their history. Why all the interest in the Broom family? In our family, the Broom family line is perhaps the line whose history has been kept alive the most. Many years ago, when my grandfather discovered that I was interested in family history, he pushed a folder of worn, yellowed papers into my hands, instructing me to read them carefully. Grandfather was the grandson of Jacob Broom Lyon, who in turn, was Jacob Broom’s grandson. After a pause of several decades and a journey across the ocean, I picked up the papers again and started doing some serious research. The Broom history is not only interesting because of the role Jacob Broom played in the history of Delaware and the US, but also because it is in some ways typical of the lives and paths of the earliest settlers of the Chester Co./Delaware Co. area of Pennsylvania, many of whom moved to Delaware. Within a span of just 50 years or so, the settlers went from living in crude shelters and rudimentary log cabins, depending on friendly Indians for help, to having built the first cities and the accompanying infrastructure. Many members of this family were prominent in business and some also played a part in national and local government. Because of this, more documents have been preserved, including letters written over 200 years ago. From these, it is possible to form a better picture of life in that time and the personalities involved, making the Broom history slightly more that a summary of names and dates. 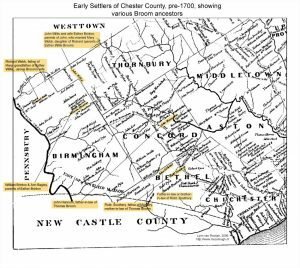 On these old Chester maps, I have marked locations of various people (or their ancestors) who were related to the Broom family in some way, or who are suspected to be related. I have used colors to make distinctions among the various families, in the hope that residence patterns and friends/associates mentioned in various documents will give a clue about Thomas’ ancestors and relationships. First results would seem to indicate a closer relationship with John Broom than with Daniel Broom, for instance, although naming Daniel Broom as the grandfather of Jacob Broom is perhaps the most widely spread – but definitely unproven – “fact” on internet. 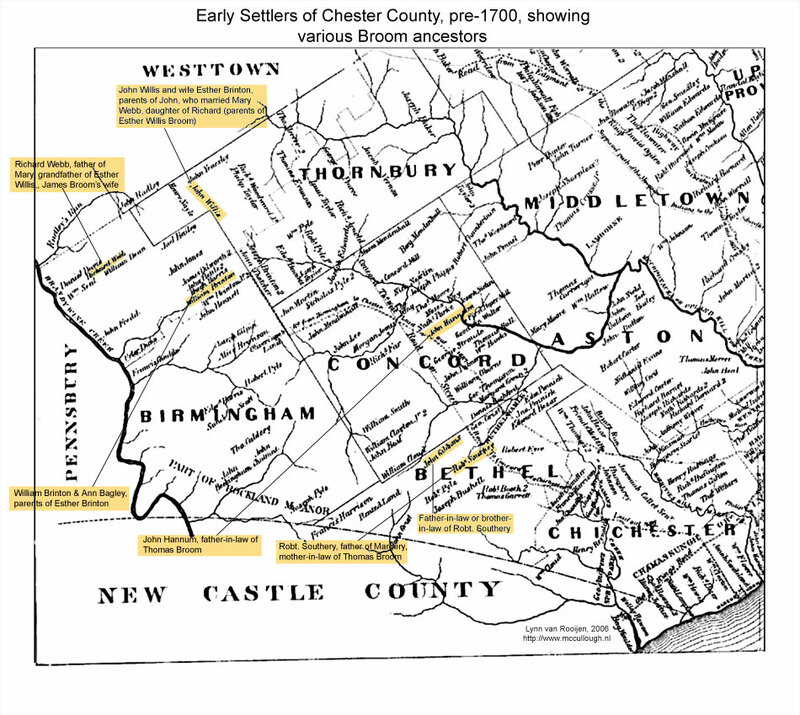 The second map is a section of the old map including just the western part of Chester County, and also marked with the property locations for many Broom ancestors, in this case the Hannum, Brinton, Webb & Willis lines at the end of the 1600’s. I have also put together timelines for Thomas Broom, James Broom & Jacob Broom showing the most important documented events relating to their lives that I have found so far. Also new (but not quite complete) are Thomas Broom, James Broom & Jacob Broom’s pages. Last but not least, one of the most complete descendant charts for Thomas Broom’s family I think you’ll find, including Jacob Broom’s descendants, of course. I have left off many of the sources to keep the page from getting too long, but please contact me if you want a source. When I started this research, I was delighted with any and all scraps of information I could find. Since then, my research skills have progressed and, in part thanks to internet which has made worldwide collaboration possible, it has become clear that among the wealth of correct information on the Broom family, including Jacob Broom and his descendants, there has been quite a bit of misinformation published. While I don’t pretend to have all the answers, I hope that the information on the Broom family and on Jacob Broom in particular will provide some new insights and also correct a few misconceptions. In turn, if you find anything here that you think is incorrect — or you have any information to add, I’d really appreciate hearing from you.